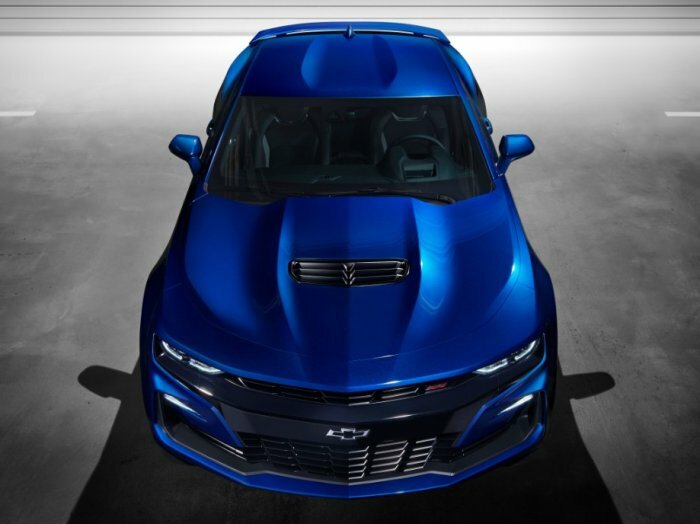 When the facelifted 2019 Chevrolet Camaro was introduced a few weeks back, we learned that the refreshed SS model would feature a similar 10-speed automatic in the 6th generation Camaro ZL1, but that isn’t exactly the case. While the 10-speed in the Camaro SS was developed as part of the same cooperative program with Ford as the transmission in the ZL1, the new Ford F-150 Raptor and the 2018 Ford Mustang, it is not the same gearbox as the one in the LT4-powered muscle car. The 2019 Chevrolet Camaro will be offered with several different transmissions. The 4- and 6-cylinder Camaro LS and LT models will come standard with the 6-speed manual transmission with the same optional 8-speed that has been offered in the Camaro for the past few years. The 6-speed manual gearbox is standard in the SS and the ZL1 as well, but they use two different 10-speed automatic transmissions. The ZL1 continues to rely on the 10L90E while the SS gets the 10L80E, the same transmission in the current Chevrolet Silverado pickup. The 10L80E has been retuned to offer a unique shift schedule from the truck, so that it offers characteristics that you would expect from a muscle car rather than a truck. The exact differences are sketchy right now, but in addition to shift tuning, the 10L90E is likely a bit heavier duty than the 10L80E. Fortunately, they both offer improved performance over the 8-speed automatic. The advantages of the 10-speed automatic transmission in the 2019 Camaro SS are fairly simple. Having more gears allows for smaller steps between gears, so shift times are reduced and engine RPM stay higher – keeping the engine in or closer to the peak powerband between shifts. Also, with the “extra” gears offering numerically low gear ratios, the engineers can make 1st, 2nd, 3rd and 4th gears more aggressive while still having the less aggressive gears on top for improved highway fuel economy. Shy of cost, there is no downside to the move to the 10-speed automatic transmission, as it improves performance and efficiency while the steering wheel mounted shift paddles give the driver excellent control over the shifts. It seems likely that as time goes on, we will see more Camaro models with the 10-speed automatic, but right now, this option is reserved for the Chevy V8 muscle cars.